Plastic Padding is a well-known Swedish brand sold in the Nordic Region, UK and Ireland. It conquered the world with its Chemical Metal product over 50 years ago and now delivers more than 100 products for the automotive aftermarket, industrial market and retail/DIY sector. 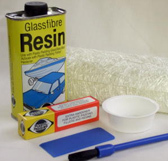 The range consists of body fillers, adhesives, sealants and rust protection.